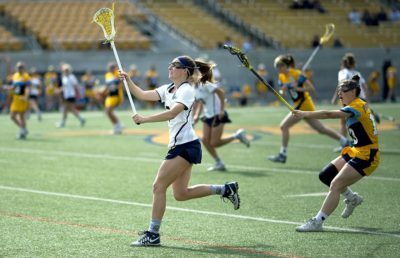 Amid the struggles of its first season in the Pac-12 conference, the Cal lacrosse team just needed one conference win to get the monkey off of its back. This weekend, the Bears suffered a beating in Los Angeles to No. 17 USC, 17-3, but they finally earned a reason to celebrate with a 17-13 victory over Arizona State. Against the Trojans, Cal created plenty of opportunities for itself early and often but failed to take advantage of them. The team won the first four of five draws but couldn’t score on any of the resulting possessions. 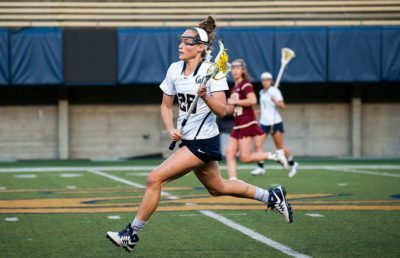 While USC hit its groove offensively, capping off the half with 13 goals, Cal could not orchestrate any form of offense in the first half, as it was unable to connect on any of its five shots. The Trojans eased their feet off the gas pedal in the second half but still limited the Bears to only three goals, thanks in part to the effort of sophomore midfielder Kerrigan Miller. Arguably the top defender in the conference, Miller forced four turnovers on her own, adding to her conference-leading total. Two days after the loss, Cal entered play against Arizona State desperate to pick up its first conference win against a team that has endured similar struggles. To make matters even more interesting, the Sun Devils narrowly defeated the Bears last week by a single goal in overtime. In the opening half at Tempe, Cal was fueled by what proved to be a monstrous combination of revenge and frustration. After only scoring three goals against USC, the Bears notched a spectacular 10 goals against the Sun Devils in the first half alone. With a coordinated defensive performance to match the efforts of the attack, Cal went on to own the half and went into the break up 10-2. “We actually did a lot of focus these last couple days on getting your mind and your body ready three hours before the game, what our culture is like in the locker room … I think that had a big impact on how they started the game,” said Cal head coach Brooke Eubanks. 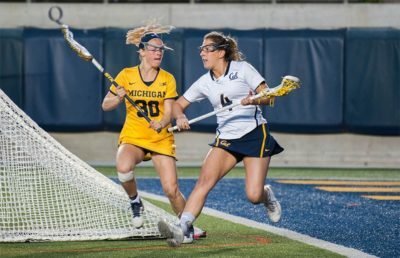 In the second half, Cal’s magical offensive run seemed to be running out as the Bears’ defense began to surrender its edge. Arizona State punched in the first two goals of the half and ended up posting eight in the first 15 minutes of the second half, threatening to claw its way back into the game. “In the end, the offense did a fantastic job of playing consistently throughout the whole 60 minutes, and when the defense was struggling a little bit, they stepped up and helped keep the momentum in our favor,” Eubanks said. Redshirt sophomore attacker Kirsten Swanson helped keep the Sun Devils at bay and secure the win with two goals, both on assists by freshman attacker Nikki Zaccaro. 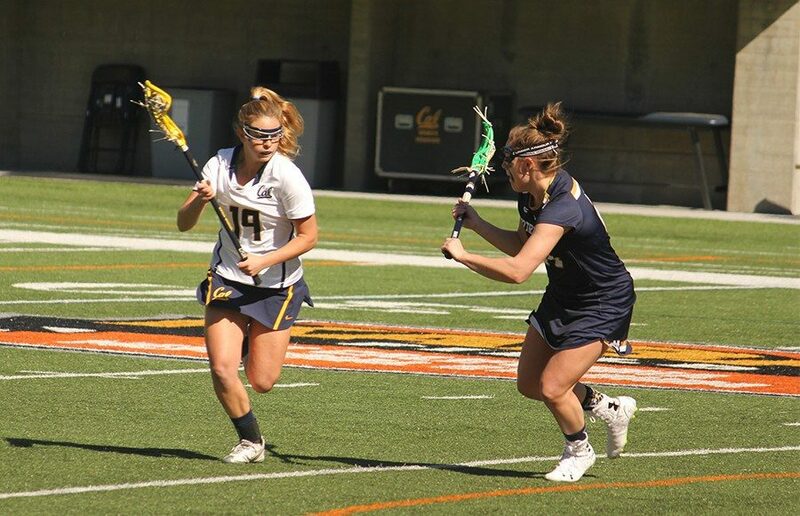 Swanson finished with a season-high four goals as the Bears totaled a season-high eight assists.